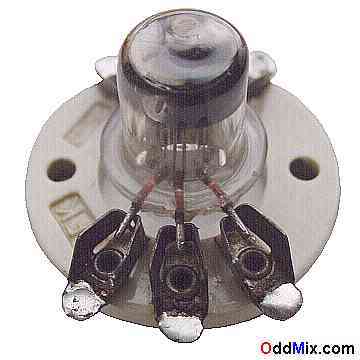 This is an original Acorn type RCA 955 Medium-Mu Triode electronic, vacuum tube. This heather-cathode type transmitting tube is developed as an RF amplifier that is useable as an AF [Audio Frequency] or RF [Radio Frequency] amplifier or oscillator up to about 600 MHz and 1.6 Watts CCS Plate Dissipation. Medium-Mu triodes can be used for many other special purpose circuits and transmitters. Useful for antique radio restoration projects or to set up a private vacuum tube museum. This early 1935 tube is unused, in great condition. Isolantite, ceramic, low-loss socket is included.